Manageable size, blistering speed, and a helm setup that can be easily adjusted help make this a perennial favorite. In 1997, I attended my first Powerboat magazine Performance Trials in Panama City Beach, Fla. To say I was wide-eyed would be a supreme understatement. I wasn’t hired for my extensive performance-boat experience, of which I had, frankly, zero. I was hired because I had a lot of experience as a managing editor. 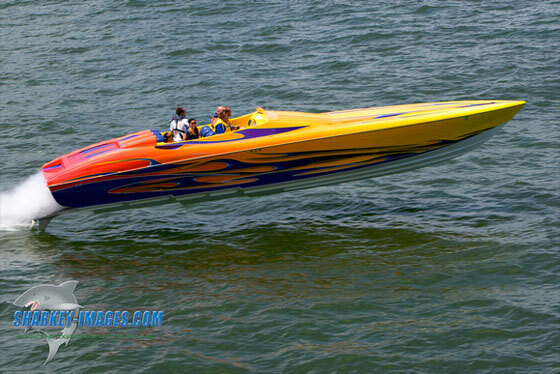 Anthony Sauta’s 39’ Outerlimits tops out at more than 110 mph with twin Mercury Racing 700SCi engines. So it’s safe to say that pretty much everything I saw blew me away. That was especially true for the Outerlimits 37’ Stiletto V-bottom that showed up at the launch ramp. I’d never seen anything like it. But what blew me away even more was the guy—OK, the freakin’ kid—named Mike Fiore, who built it. Sure, he was, as I came to find out, born into the go-fast boat business. 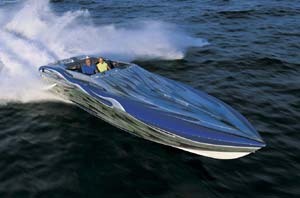 His father, Paul Fiore, founded the famed Hustler line of performance boats. But Mike was in his late twenties and looked even younger than that. He built these incredible creations with his hands and was completely humble about it, whereas I practically had buttons popping off my shirt because I’d successfully assembled a barbecue the summer before. The next day, I got to ride in the 37-footer with twin 700-hp Zul engines. It went 97 mph and I was scared enough to jump out—but smart enough not to. Now, flash forward 10 years. 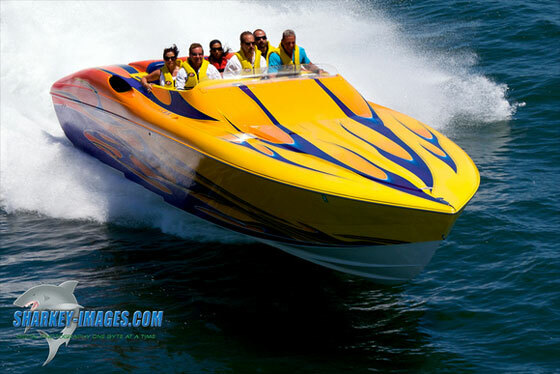 Fiore, Powerboat lead test driver Bob Teague and I are blasting across the water off Sarasota, Fla. in a 51-foot-long Outerlimits with 1400-hp Sterling engines at 120 mph. This time, I didn’t want to jump out of the boat—instead I was blown away by it. Now, one more flash forward—to late February this year. Anthony Sauta, four of his good friends and I are running 90 mph in Sauta’s 39-foot Outerlimits. Sauta is handling the throttles, Bob Christie is steering, and the rest of us are just having a fine old time enjoying the scenery at Florida Powerboat Club’s Miami Boat Show Poker Run to Islamorada, Fla. And even though the speed is not so big and scary now that I’ve gone almost twice that fast, and even though I’ve ridden in probably a dozen Outerlimits models since 1997, I am still blown away. One of the company’s strongest sellers since it was introduced in 2005, the 39’ Outerlimits is no longer “officially” in the Outerlimits line, meaning it doesn’t appear on the Bristol, R.I., custom-boat manufacturer’s website. 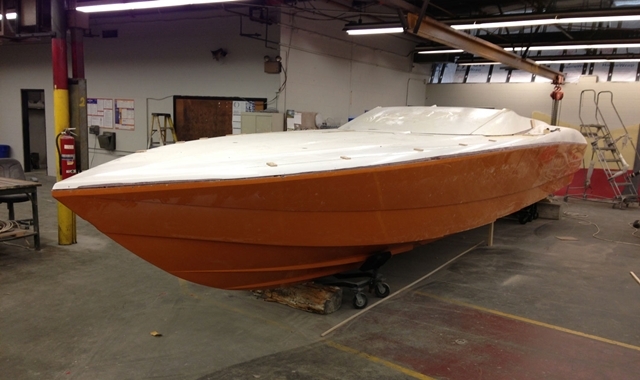 But the company still has the tooling and will still build the boat, and there are dozens of them still on the water. Outerlimits has built larger (and smaller) and faster models—the company even builds go-fast catamarans—but the 39 remains a defining product. The 39’ Outerlimits remains an exceptional rough-water performer. Sauta isn’t speaking as someone trying to justify his first big-ticket performance boat purchase. 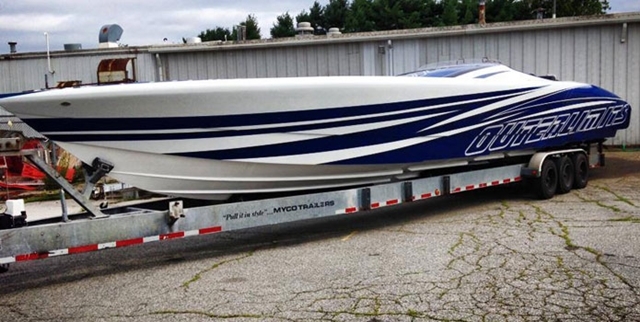 His current 39-footer, which he bought in 2007 with twin Mercury Racing 700SCi engines, replaced his previous Outerlimits 39-footer with Mercury 600SCi engines. Before that, he owned a Sonic V-bottom and a Fountain V-bottom. He could have bought from any custom V-bottom builder. And yet he bought another Outerlimits. For those who haven’t seen it, the setup to which Sauta refers is a triple bolster station up front for the driver, copilot and “navigator.” (OK, in these days of GPS systems that term probably needs to be replaced.) Quick-connect hubs in front of the center and starboard bolster seats enable the wheel to be mounted in either location for either one-man (starboard) or two-man (center bolster steering, starboard bolster throttling) operation. The third bolster on the port side actually is formed by a slide-in back cushion. Remove the back cushion and you have an open pathway from the cockpit to the cabin. 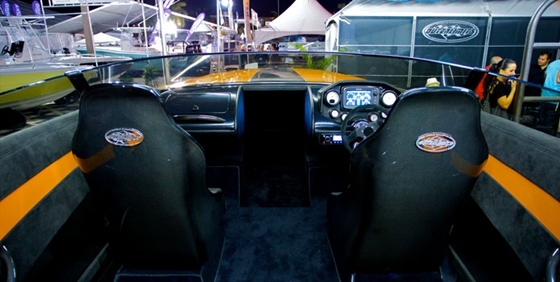 In Sauta’s boat, that happens to be what Outerlimits calls a “half cabin” in which the forward five or six feet of the boat’s interior are left unfinished and hidden behind a zipper curtain. (Outerlimits uses zipper curtains rather than hinged doors, which have a tendency to fail in rough water, on all its boats.) A half cabin makes the boat lighter, and lighter generally means faster. In the case of Sauta’s 39-foot Outerlimits, that means a top speed of 112 mph. The first 37-footer I rode in topped out at 97 mph with the same total horsepower, which gives you an idea of how efficient Outerlimits’ stepped hulls have become thanks to technology such as air-induction bottom venting. But what I appreciated most as a passenger in the 39-footer, as well as in every Outerlimits I’ve had pleasure of riding, is the depth of the cockpit and how solid the boat feels. You always feel that you’re in the boat, rather than on it. 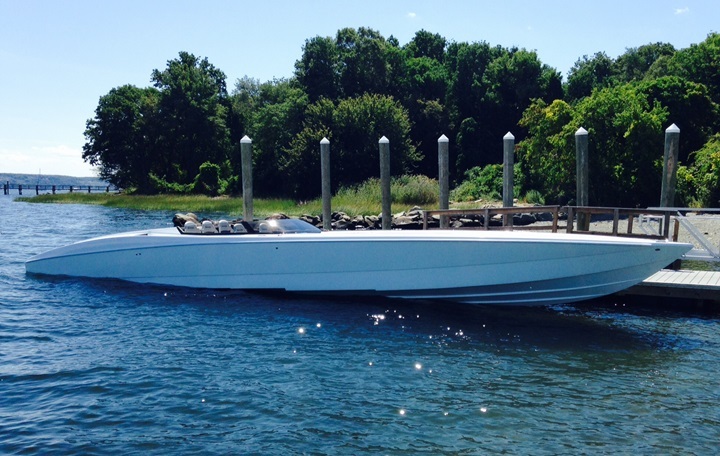 Outerlimits is a custom performance-boat builder and, as such, commands custom prices. 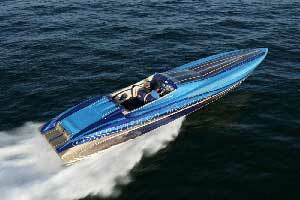 In 2007, the 39’ with twin 700SCi engines listed for $600,000. What that also means is that the “options list” for the boat is more of a jumping-off point. The builder will do just about anything a buyer wants and is willing to pay for. And that, plus the product quality, explains the loyalty of buyers such as Sauta. 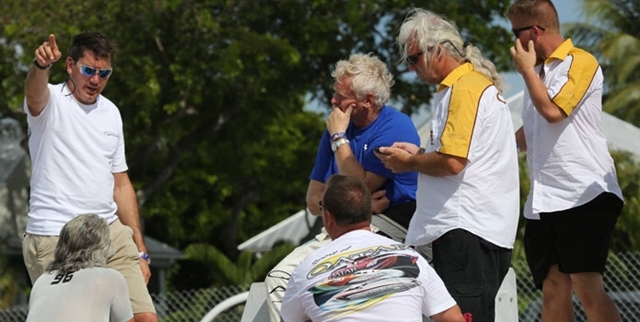 Bi-weekly columnist Matt Trulio is the editor at large for Powerboat magazine. He has written for the magazine since 1994. Trulio’s daily blog can be found on speedonthewater.com, a site he created and maintains, which is the high-performance arm of the BoaterMouth group.